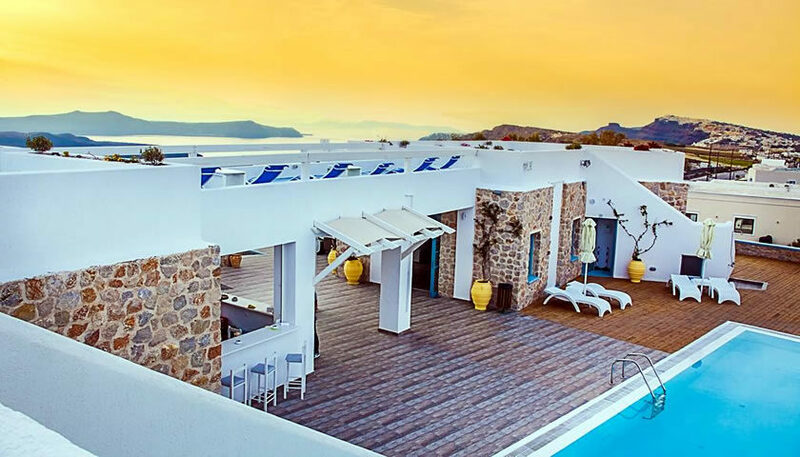 Tastefully decorated rooms and suites with private balcony or patio and a seating area, located at a short distance from Fira. The hotel has a beautiful swimming pool area and offers views to the volcano and the Aegean sea. 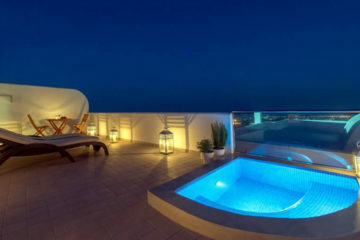 Specify the dates of your visit to Santorini to check availability and prices of Nautilus Dome.